Hello everyone, and welcome to Blue Buzz Music. In this article, we are going to talk about the best VST plugins for hip hop production – drums machines and synth VSTs in particular. When making a beat, you focus on one thing – the way the beat sounds. Is it too thin or a little too muddy? There is no ideal beat structure, but there is a good rule of thumb. First, you create a melody with one of the synth VST plugins or samples. Then you add drums on the top of the melody, so they sound good together, and both have their own space in the mix. There are tons of smaller steps such as picking the main melody and the sub-melody or putting all the elements of the drum set (a.k.a. kicks, snares, hi-hats etc.) together. However, we won’t discuss them in this article. Today I want to focus on the best VST plugins for hip hop, both paid and free. And I want to divide both free and paid plugins into drums machines and synths, as the fundamentals of any beat. Later you may add fat bass, white noise, raisers/sweepers, or literally anything else to add more “colours” to the track. For now, the two above mentioned categories are all you need. I chose two paid and free plugins and drums and the synth – 8 plugins overall. As music production is overall subjective, these are my choices and if you like some other VST more, go ahead and use it instead. These VST plugins for hip hop didn’t make it to the list but they are still great, flexible, and easy to use. Alright, let me start from the paid VST plugins first. They usually are superior in both sound quality and capabilities. A lot of the time paid hip hop VSTs come with a lot of amazing presets, so you don’t even need to get to know the controllers. Think of it as a VIP area at a club. You get a lot of cool exclusive things, but you have to pay a decent fee to get in. Let’s get right to the plugins! Honestly, I had a few solid candidates, but I decided on the two below because of both the sound quality and the ability to customize and personalize the sounds. If you have been producing for a little while already, you must’ve heard of Addictive Drums 2. I can’t say it’s the best of the best, but I am sure it’s one of the most popular drums machine plugin out there. I am sure the reason it’s not being used in every studio is its price tag of around $150. It’s nothing insane and out of this world, but not a lot of beginners for it right away. Let me tell you a little bit about Addictive Drums 2, and why I decided to include it on the list. First of all, it offers you over 5000 MIDI grooves, beats and drum fills. There is a very high chance you won’t have time to go over all of them. That’s why they are subdivided into genres, so it’s very easy to navigate. You can also customize the sounds as much as you want without going to your DAW for beginners with built-in EQs, compressors, transient shaping, reverbs, delays, and a lot more. It’s basically a ready-to-go digital audio workstation for drums. I love the clean and intuitive user interface, which saves you a lot of time by not letting you get lost.Will it take some getting used to? Sure! However, once you’ve mastered it, it’s going to be a breeze to come up with a sick drum pattern for your hip hop track. Learn more and check the price of this VST hip hop on the Addictive Drums official website. I was actually debating a lot between the two: FXpansion BFD3 and Toontrack EZdrummer 2. Both are very advanced and quite popular among beatmakers. Even though EZdrummer 2 is cheaper and easier to use, I just felt like in the long run BFD3 will pay off better offering you more drum kits, better groove engine and a lot more functionality. The rest is for you to decide! As the content producer Rail Jon Rogut, who stands behind the first two version states, every drum’s compressed and EQd to sound its best. I know this can be a turn off to some, as a lot of producers love working with the raw, unprocessed sounds. However, there is nothing to worry about, because you can manually turn off the EQ/compression, as the drum sounds were recorded with extra channels. I should probably mention that this dram machine VST goes for around $350, so keep that in mind. It’s more than twice as expensive as both the EZdrummer 2 and Addictive Keys 2. Is BFD3 drum VST for hip hop worth it? As I said, it’s worth it in the long run. Have I mentioned that you get 55 GB worth of sounds? Even considering the highest quality recording and processing, it’s an insane amount of material to play with. There is a very high chance you will never run out of the new sounds to try. Learn more and check the price of this VST for hip hop on the FXPansion official website. I wonder if the choice here is as obvious for me as it is for you guys. Let’s see. Probably the most popular and definitely one of the best modern synths out there. I am not very technical when it comes to describing the sounds Omnisphere generates, but sometimes it’s described as modelled analog polysynths and granular synthesis. All it means is that the samples are split into tiny “grains” of sound to provide the sounds with so-called extreme hyper-realism. 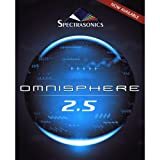 What Do You Get With Omnisphere 2 hip hop synth VST plugin? You get over 400 waveforms, which sounds you can customize with a bunch of modulators and filters. On the top of that, Omnisphere 2 includes more than 4500 patches and sound sources. And I have to mention that it is relatively easy to navigate through. If you just want the presets (and you have 1000’s of them), it’s almost a plug-and-play plugin. The real treasure is the ability to customize all the sounds. It will take some time to learn the VST synth and even more time to master it. In the long run, it’s worth looking into. The biggest drawback, like with the most paid plugins, is the price. This infinite possibilities synth VST is sold for $500. You can try looking for a loophole to get it for free, but if you have decided that producing is going to be your passion, go and purchase it and support the developers. As a one time fee, it may seem like a lot, but it’s 100% worth it! I honestly couldn’t decide for a while if Sylenth would’ve been a better fit for the second best synth VST for hip hop production, but still chose to go with Serum. Have you ever heard of Serum? I hope you have. It’s very popular in the music industry. In my opinion, the easiest synth VST to navigate through with top-notch quality sounds and creative workflow-oriented interface. I would call Serum more “experimental” comparing to Omnisphere. 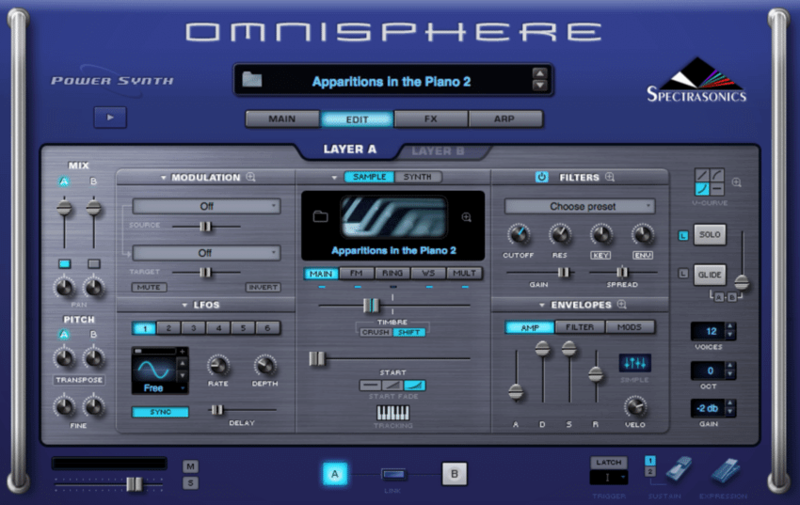 If you’ve mastered Omnisphere, for example, there is no point to start using Serum. There isn’t much Serum can do that Omnisphere is not capable of. However, the price tag at around $190 seems a little more appealing for someone picking their first professional synth VST. A great feature is the ease of setting up modulations and visualizing what’s going on with the sounds. This means that Serum will be a lot easier to master if you are a visual learner. Also, it’s nice to be able to recreate a sound that you have in your head, which will require some knowledge of synthesis. A steep learning curve, but definitely worth it at the end of the day. 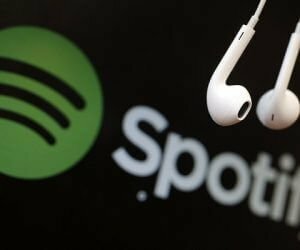 It has a bunch of presets and samples, so even if you are looking for some unique, high-quality sounds and nothing else, it will still end up being a very valuable investment. Learn more and check the price of this VST for hip hop on the Serum official website. Look, free hip hop VST synth and drum machines are not always the bad ones. They are not as advanced or flexible, and they sounds are sometimes of lower quality, but that’s about it. You can still do almost anything with them. I honestly believe that some of the ones on this list shouldn’t even be free. Even though they come at no charge, I still donated a dollar here and there. It’s almost nothing, but it surely helps developers lots. Let’s get to the plugins list! I actually went over the best free drum VST plugins already, but for the sake of this article, I am going to choose the top two! A few years back I remember paying around $40 for this drum machine. And I was so happy with my purchase! Lately, maybe a year ago, they made the plugin completely free. I think it’s due to the competition and no updates whatsoever. You can still donate, but you know how stingy we, music producers, are. In my opinion, it’s always hard to pay for plugins because they are just a piece of software, rather than a hardware compressor you can put in your music studio and play with. Correct me if I am wrong, okay? Anyways, let’s talk about MT Power Drum Kit 2. With this plugin, you receive a bunch of presets and grooves of top-notch quality sounds of an acoustic drum kit. The samples have also been processed and equalized to sound their best, so there is almost no post-processing required to be done. This advantage is a drawback to some, because of some producers like working with unprocessed samples and tweaking them how they will. With this hip hop VST plugin, the sound has already been processed. The developers mention that only the highest quality drums and mics were used when recording. Overall, a superior quality plugin that you get for free! Learn more about and download this hip hop VST on the MT Power Drum Kit official website. This drum VST for hip hop is to an extent similar to the one above it. I personally loved the option of changing the microphones which are recording these drums. As you know, the same samples recorded on different mics sound different. And it’s not just the sensitivity and frequency range, but also the patterns, the way they were built and a lot more. It may not be a big deal to some, but it’s nice to have this feature. With Sennheiser’s DrumMic’a you can adjust microphones proximity and patterns. Even if you don’t care about the technical aspects of this whole mic replacing thing, it’s still fun to play with. Don’t forget to also install Kontakt 5 player. Otherwise, you won’t be able to run this drum machine VST. Learn more about and download this hip hop VST on the Sennheiser’s DrumMic’a official website. There are so many free VST synths for hip hop production our there – it was almost impossible to choose. However, I’ve decided on two I personally like the most and still use. Let’s take a look. This plugin is one of the best, if not the best VST for hip hop. It comes with A lot (256!) usable presets. So even with zero knowledge about synthesis, you can start working on your melody right away. My eyes hurt from the number of knobs that are at your use. You can customize pretty much any sample to make it sound the way you want. I would say there is still a downside to it – it’s not very interactive. If you know what you are doing, you should be fine. For beginners, it can be a little more complicated. However, there are a few tutorials on YouTube, so you should be fine. Definitely one of the best VST synths for hip hip and trap production out there! Learn more about and download this hip hop VST on the Tal Noise M4k3r official website. I really like the interface of this plugin. It’s a lot more user-friendly and intuitive. It comes with 46 presets and if you want you can upgrade to the premium version of the plugin. I don’t like the idea of having a free and a paid version because it usually means you have to pay to get the best features. It’s partially right with Zebralette. If you don’t upgrade, you still get a full functioning hip hop VST synth with a lot of features. If you like it and have a feeling that you want more, go ahead and upgrade it to Zebra2. It will cost you around $200, but it’s a whole other level. Learn more about and download this hip hop VST on the Zebralette plugin official website. So this will be everything for this post about the best VST plugins for hip hop production. Both paid and free ones have their up and downsides. You choose in between the price and the capacity/potential of a particular drum machine or synth VST. With free ones, you can only go so far. Perfect choice for the beginners to learn a few things about sound generators. Paid ones are a little bit pricey, at least the decent ones, and are more customizable. Which ones do you prefer? A better investment of not just money, but your time. It takes a while to get the hang of a plugin, and its capacity, so why keep switching? Which ones would I suggest? The ones you think will work the best for you. If you are just starting out and don’t feel like investing a lot of money, go for free ones for now. Been producing for a while now and want to step up your game? The paid VSTs will go above and beyond to make this come true. Thank you for your time, and I hope you’ve found this helpful. Also check out my post of top free vu meter plugins to step up your mixing and mastering game! If you are looking for the best hip hop VST plugins - check out the best 8 plugins for hip hop production. With the top drum and synth VST plugins you'll find - you can step up your production game in no time!